Regardless of where you live in the world, you’ve probably eaten a Kit Kat chocolate bar before, or have seen one, or at least have heard of them. However, you haven’t really eaten/seen/heard of a Kit Kat bar until you eat/see/hear about Japan’s! My current stash of Kit Kats! Since moving to Japan, I’ve seen dark chocolate, pumpkin, strawberry, raspberry, blueberry cheesecake, green tea, dragonfruit, citrus golden blend, cookies and cream (my favourite! ), hot Japanese chili pepper… You name it, Japan has a flavoured Kit Kat for it! I’ve even heard of wasabi-flavoured ones! 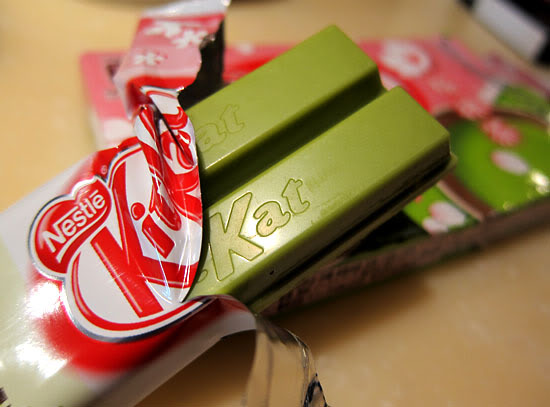 Some of these Kit Kats are dyed to match their flavour, too, such as the sakura matcha (cherry blossom-green tea) Kit Kats that I bought at Narita Airport during last winter vacation. Despite their green colour, they were actually really good! And not only can the colours and flavours be unique, but so can the method of eating them. In fact, Kit Kat Japan has even made a bakeable Kit Kat. 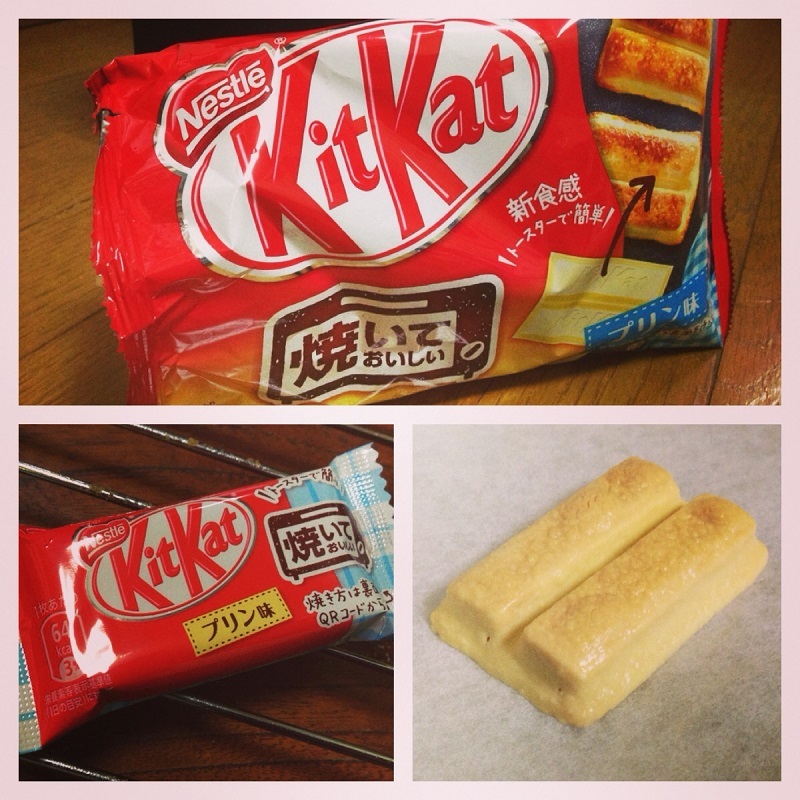 The pudding-flavoured… bakeable Kit Kats? !